Its fun when a few pieces of artwork work together without even being by the same artist. Pinterest has been such a great way to see these parallels. I am in the middle of designing the Spring issue of Radiant so its crunch time for me this week. Wishing you all a wonderful Wednesday! Good luck with all your work on Radiant -- I can't wait to see the finished product. 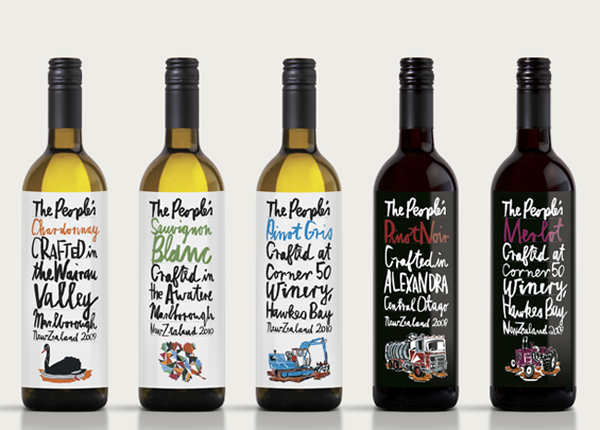 And I do love these wine bottles. They'd make such a stylish dinner party gift. I love pinterest! Hearing so much about it lately :) Can't wait for my glass of wine after the baby's here!! Hope you have a great, productive week!! adorable!!! have a good week girly! good luck w/ the issue! good luck with Radiant!! i love this wine and glasses pairing! Oh, I love the labels!! So fun. Happy Wednesday! 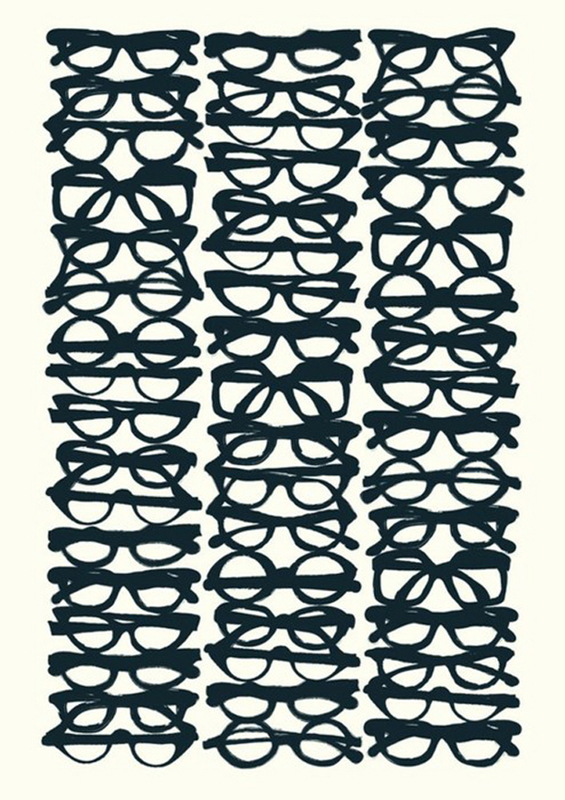 love the buddy holly-esque glasses art. what a great find. such a cool print!!! love the specs - or nerd glasses!! that's what i see...hehe. Totally want to acquire a case of those wine bottles, for hostess gift purposes. So lovely! i love that spec chart!! awesome prints! These are both SO cute!! !